Pretty is defined by you, not the world. Wear your confidence with this cute tee or purchase it as a gift for a friend or that special someone. Feminism is for every body. Celebrate women's empowerment out loud. THE GOLD EFFECT ON THIS SHIRT IS PRINTED AND NOT ACTUAL GOLD FLAKING. 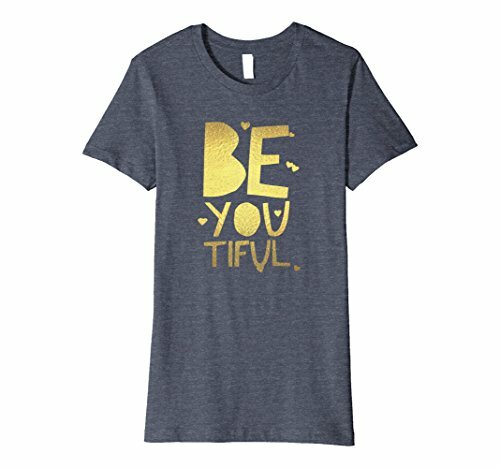 This Be Your Beautiful Self (Be You Tiful) T-Shirt in Gold is designed and printed to be fitted. For a more loose fit, please order a size up.